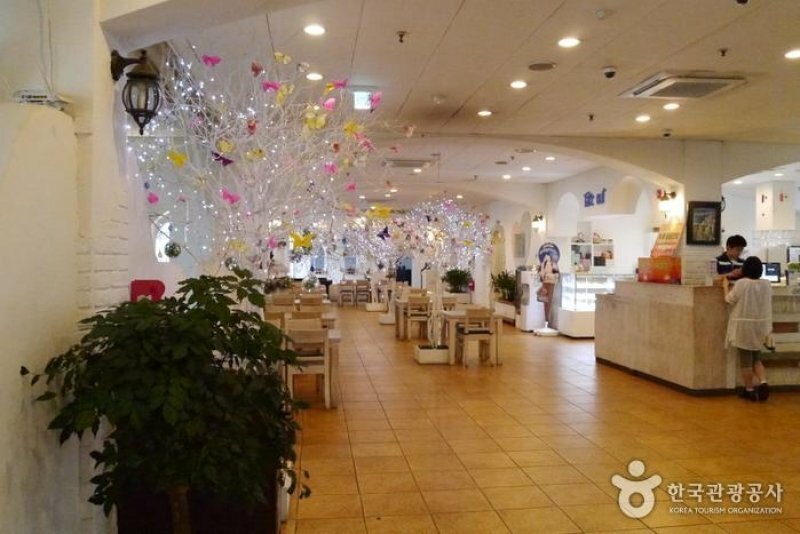 There are countless of cafés in Korea, each with their own quirks and themes. Since summer is fast approaching, we’ve set up a list of cafés which you could visit in case you’d like to bask in the summer sun while sipping your favourite iced macchiato in hand. 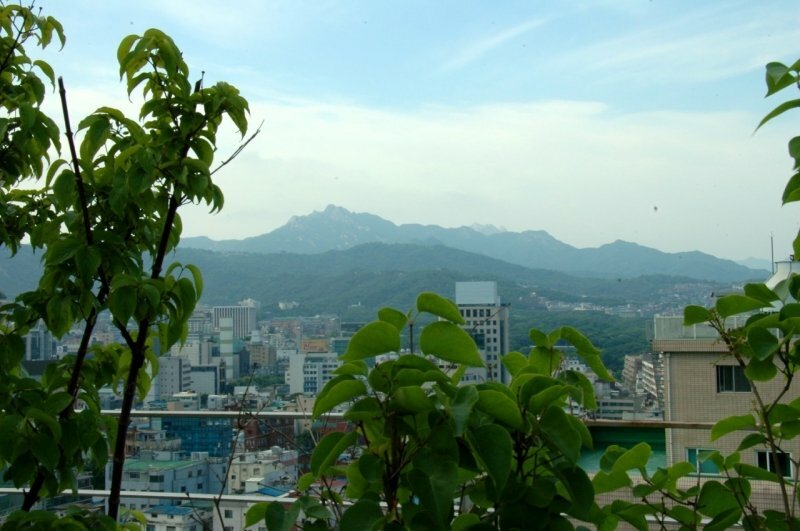 The name San-mo-toong-yi (산모퉁이) means mountain in Korean so this will pretty much give you an idea where the café is located. Since it is tucked in the mountainous neighbourhood of Buamdong, guests are treated to amazing views of lush greens and cloud-topped mountains. 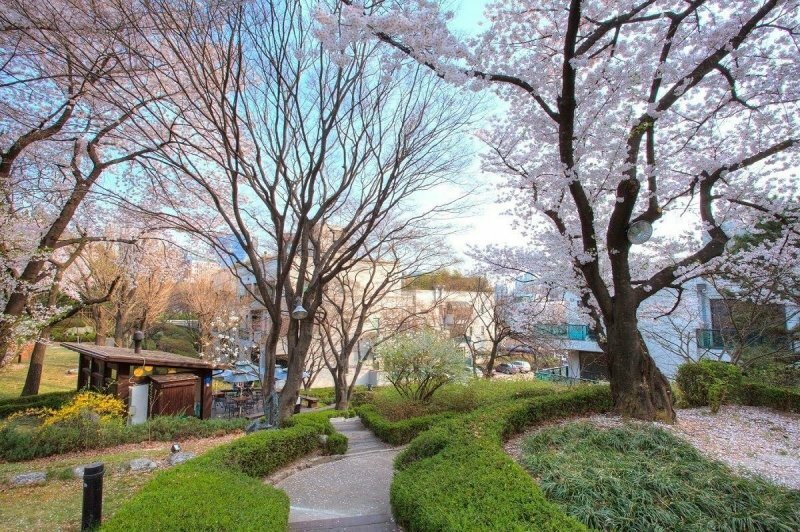 This might be the reason why the popular Korean drama “Coffee Prince” was filmed here. Due to its popularity, it can get jam-packed on the weekends so be prepared for the maddening crowd. 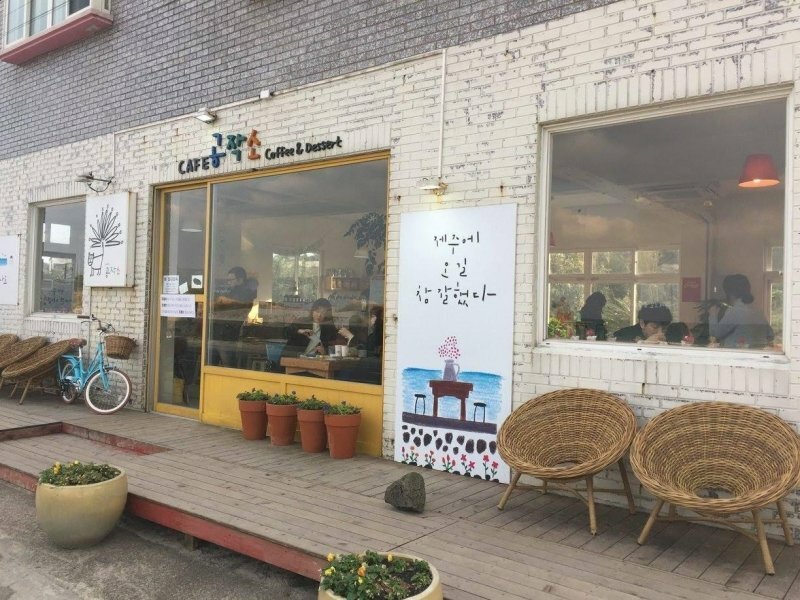 With a café and bakery on the first floor, Café Santorini ( 카페 산토리니) in Chuncheon is more famous for being a traditional Italian restaurant. 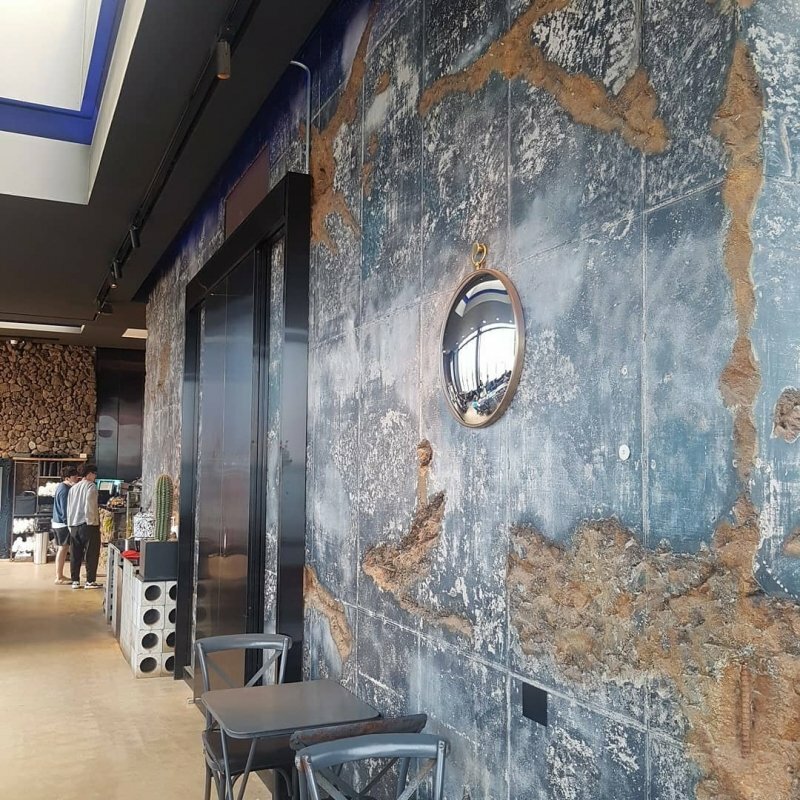 However, the café area boasts of a scenic brilliant blue reminiscent of the views from Santorini and you can enjoy it with a latte or a glass of wine. 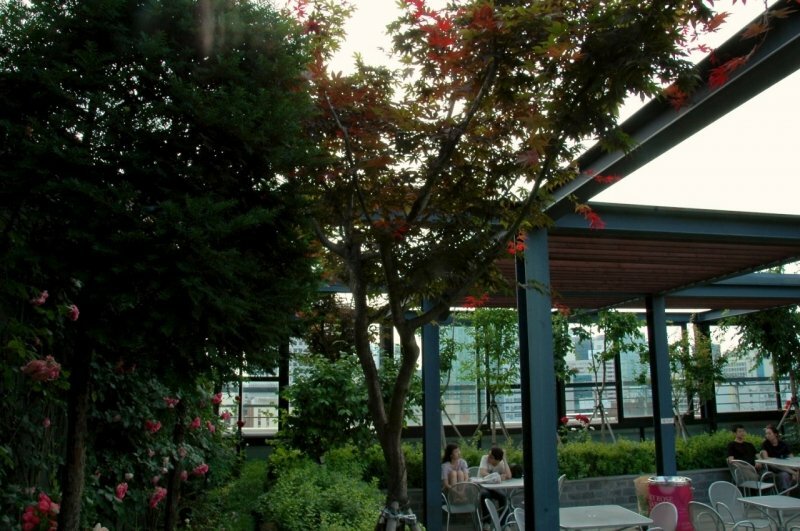 The warm weather is the best signal for Koreans to flock to the many rooftop cafés in Seoul. Harvest Namsan is not an exception to this list. 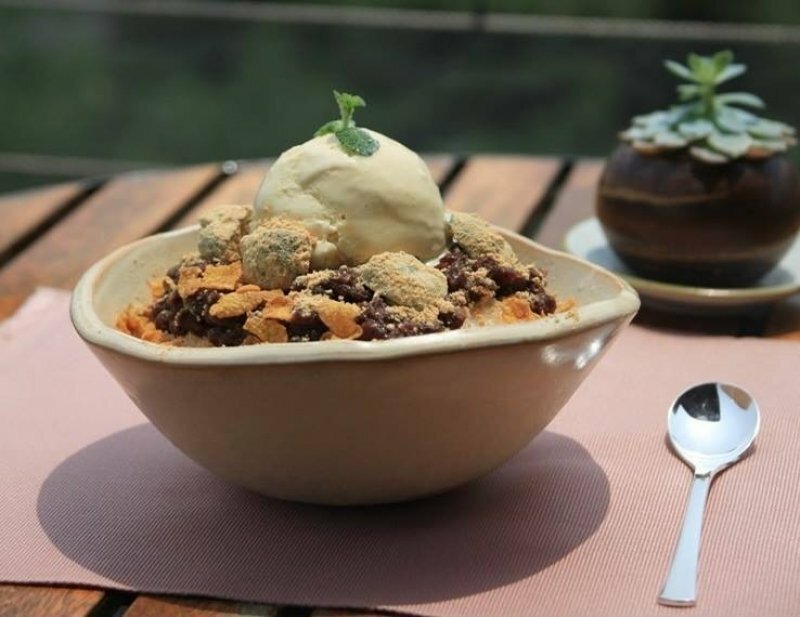 Branded as a “farm to table” café, it is cosily nestled in the heart of Namsan. 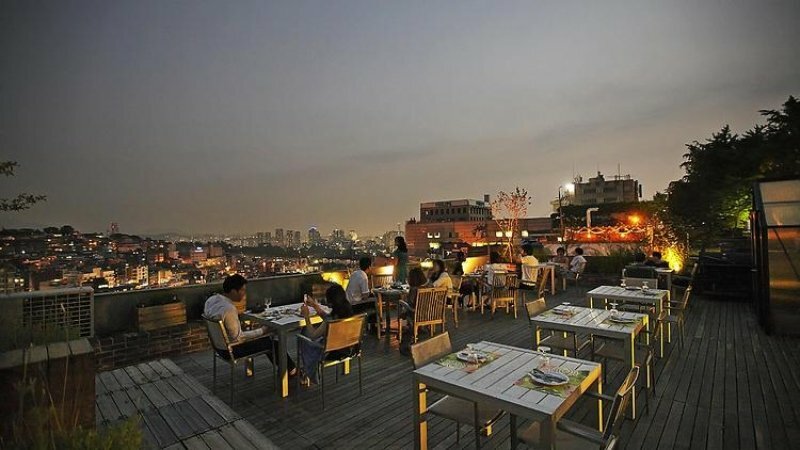 It provides you with a spectacular view of Haebangchon while you chow down on dishes grown right at their sprawling rooftop patio. 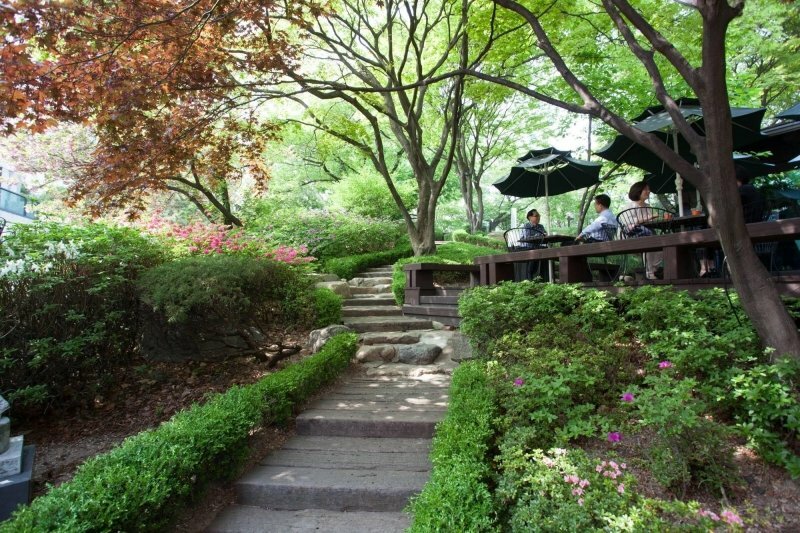 Described as an oasis in the middle of urban Seoul, the garden location of Sungkok Art Museum Café (성곡미술관) provides the perfect spot to enjoy spring flowers amidst the glorious summer heat. Take a brain break by enjoying the artworks inside, as well as the green scenery engulfing this café. 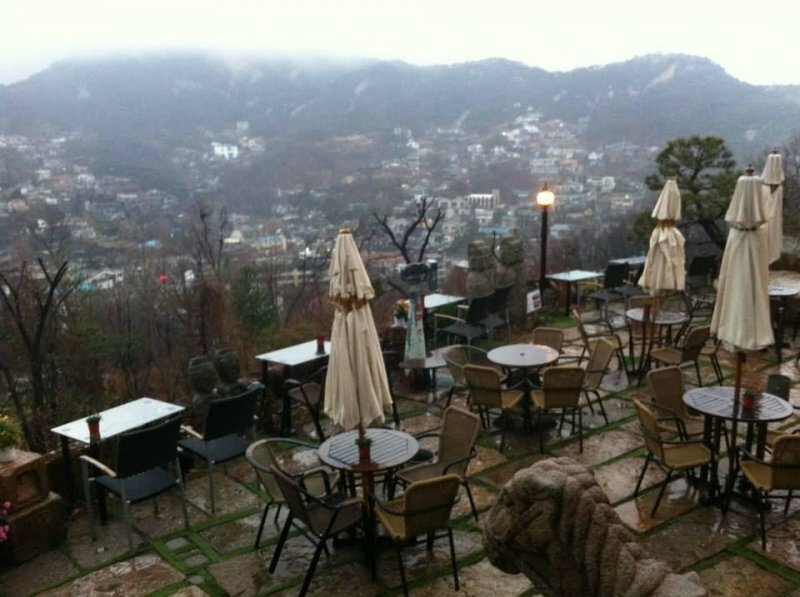 Café Dawon (삼청각(라운지 다원) is reviewed by many travellers as the perfect place to have traditional tea in Seoul. More amazing than their wide array of modern and traditional tea offerings is the breathtaking view open for guests’ enjoyment. 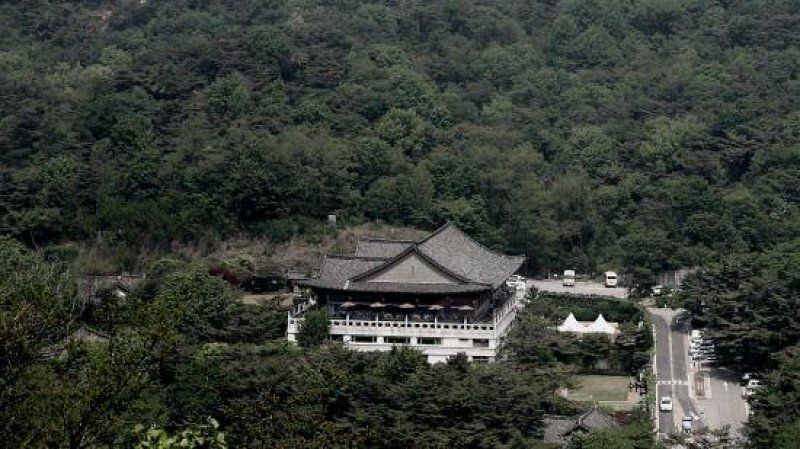 It is tucked inside a small Korean-style mountainside resort known as Samcheonggak in Seongbuk-dong, Seongbuk-gu in Seoul. Samcheonggak is near Cheong Wa Dae, the official residence of the President of South Korea. 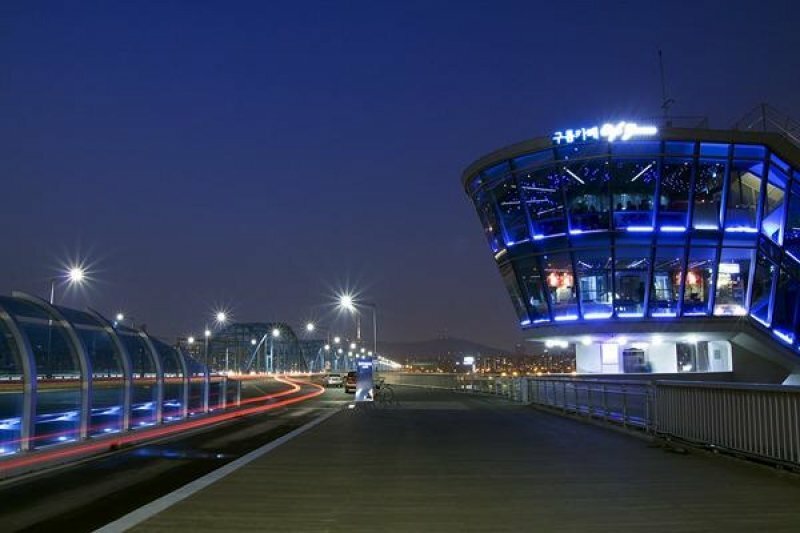 Trust the Koreans to build a café on top of a bridge. 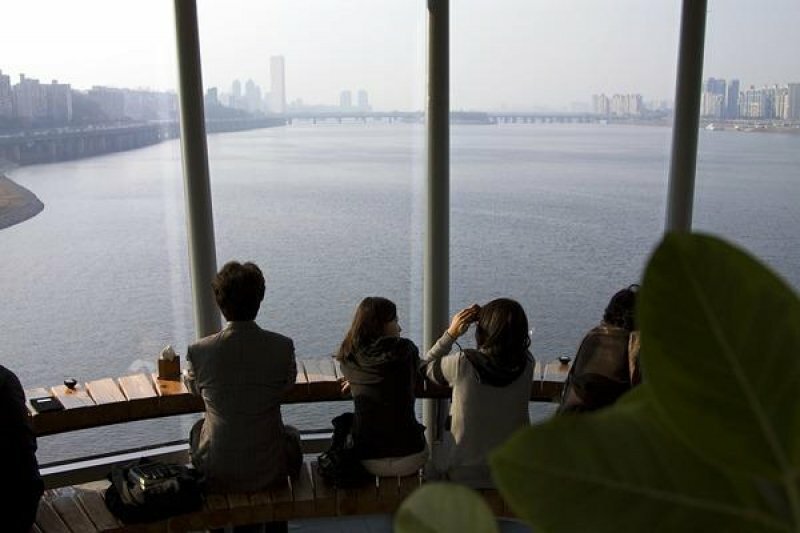 At the Cloud Café (구름카페) and Sunset Café (노을카페), you will get to enjoy the calm Han River either in a glass-surrounded indoor café or an outdoor terrace. 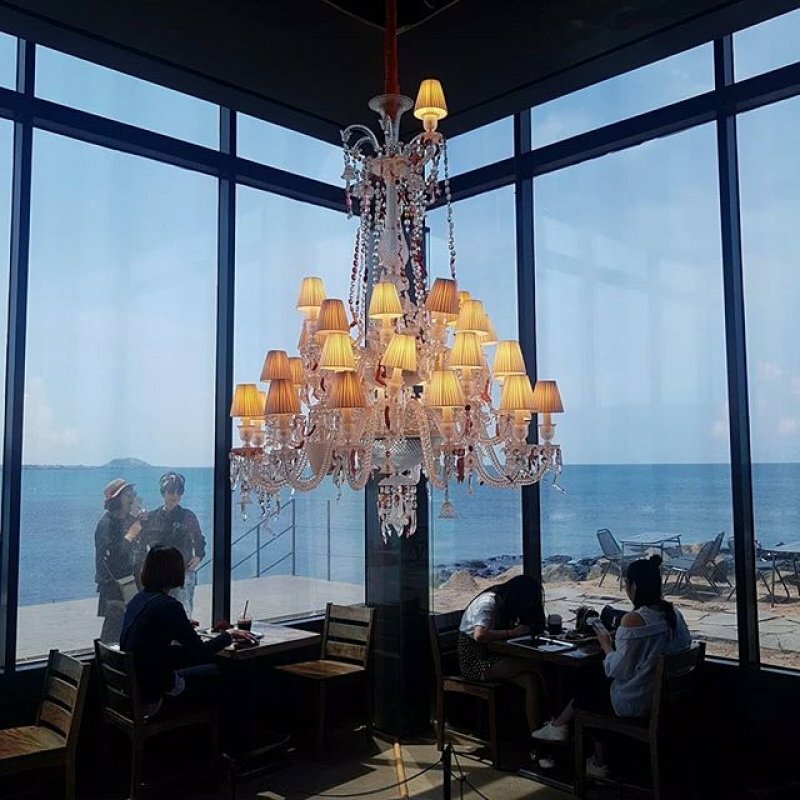 Uniquely separated by an expressway and subway track, these two cafés will give you awesome views of the Banpo Bridge and N Seoul Tower. The beautiful city view from Sky Rose Garden (하늘 로즈 가든) located atop Daehan Cinema in Chungmuro is certainly one of the reasons why it is regarded as the most romantic dating spots in Seoul. While it’s not exactly a café per se, it is highly recommended for you to grab a cup of coffee (and a date) whenever you head up to this serene escape for a dreamy summer afternoon. 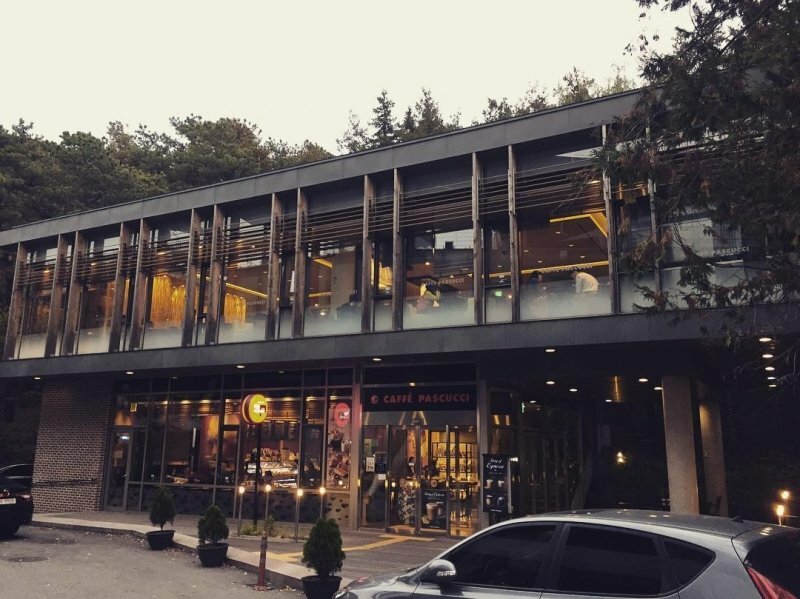 Regarded by students as one of the best places to study on campus, Caffe Pascucci at SNU’s Gwanak mountain campus is part of a famous coffee chain in the country. What makes this location fantastic is that it is surrounded by beautiful pine trees so your eyes can get its “green break” after hours of studying. 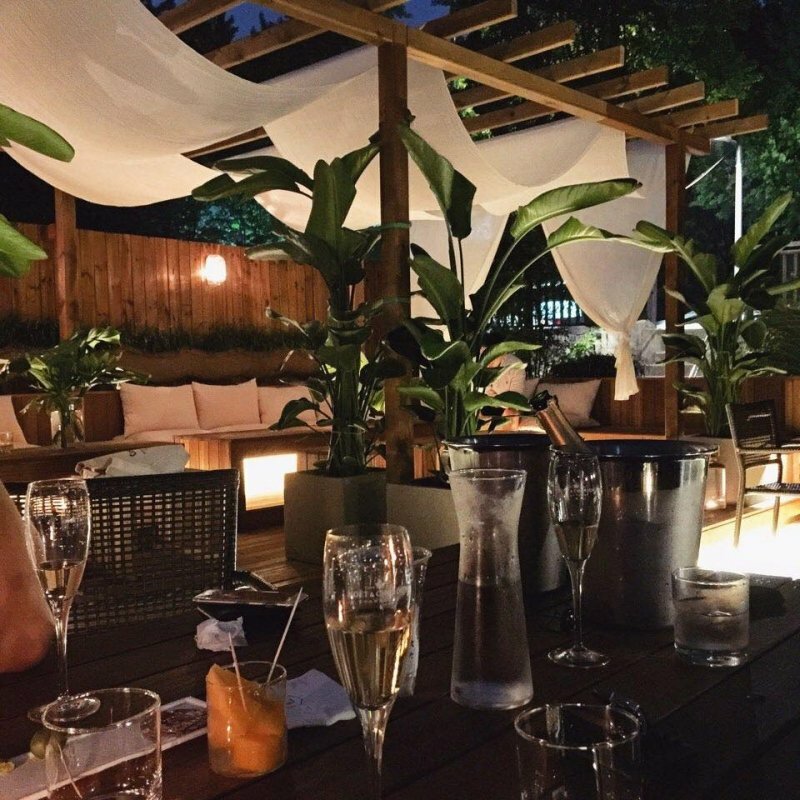 The outdoor patio is just perfect for a relaxing summer day out. 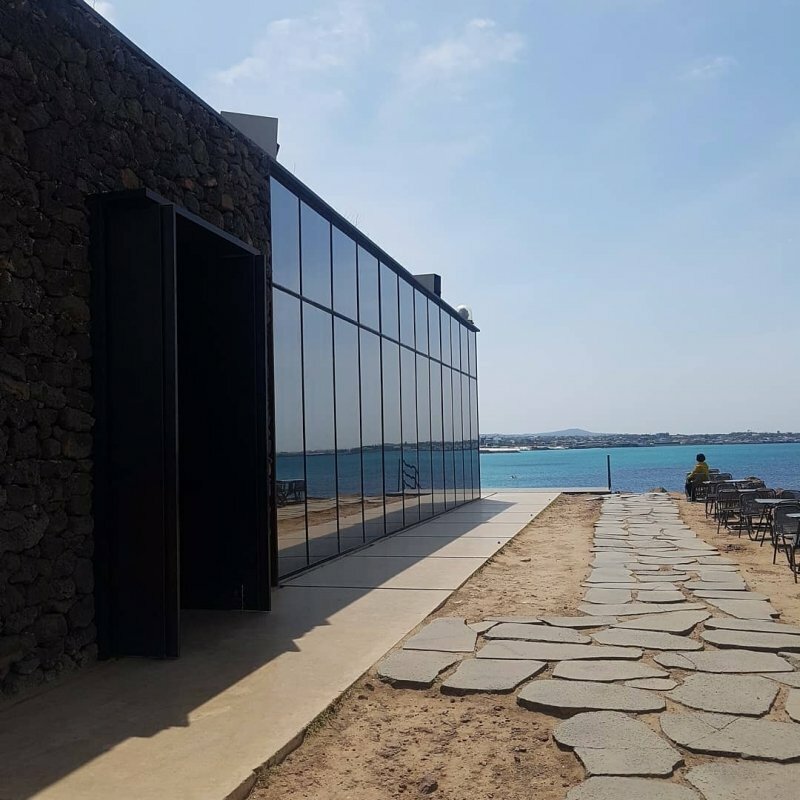 Uber modern Korean studio Platform_A constructed a café with mirrored-glass doors and volcanic stone walls at Jeju Island. The result is an architecture revolution. 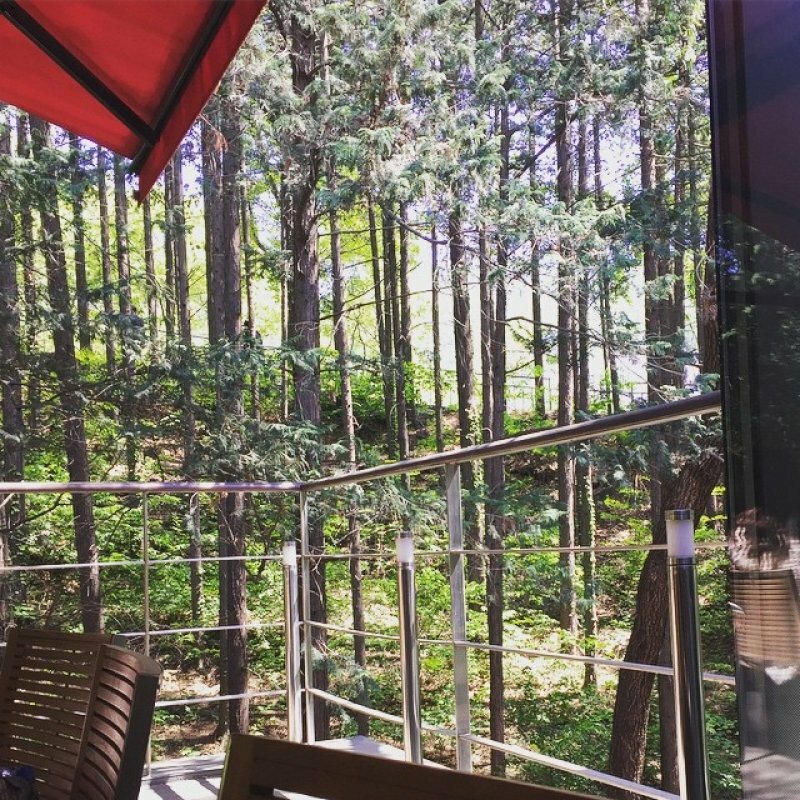 Located in Aewol, close to a nature reserve and dinosaur theme park, this clean-as-a-dot café could be your much-needed art and caffeine fix for the summer. 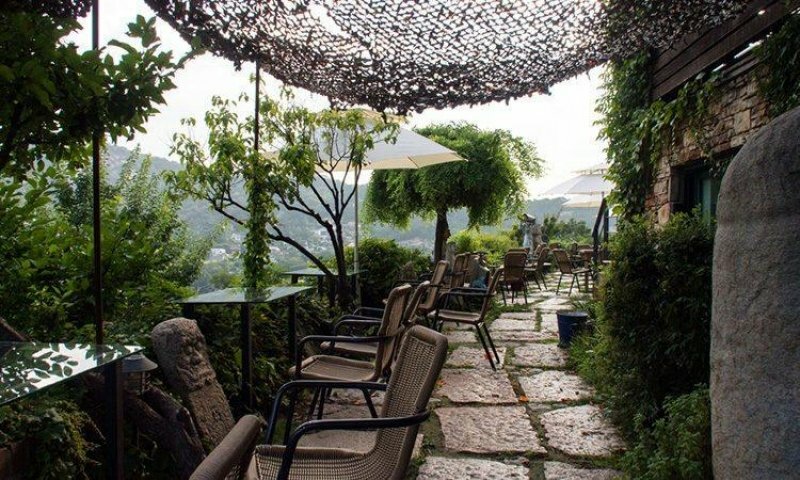 Experience this revolutionary café while enjoying the province’s volcanic landscape. 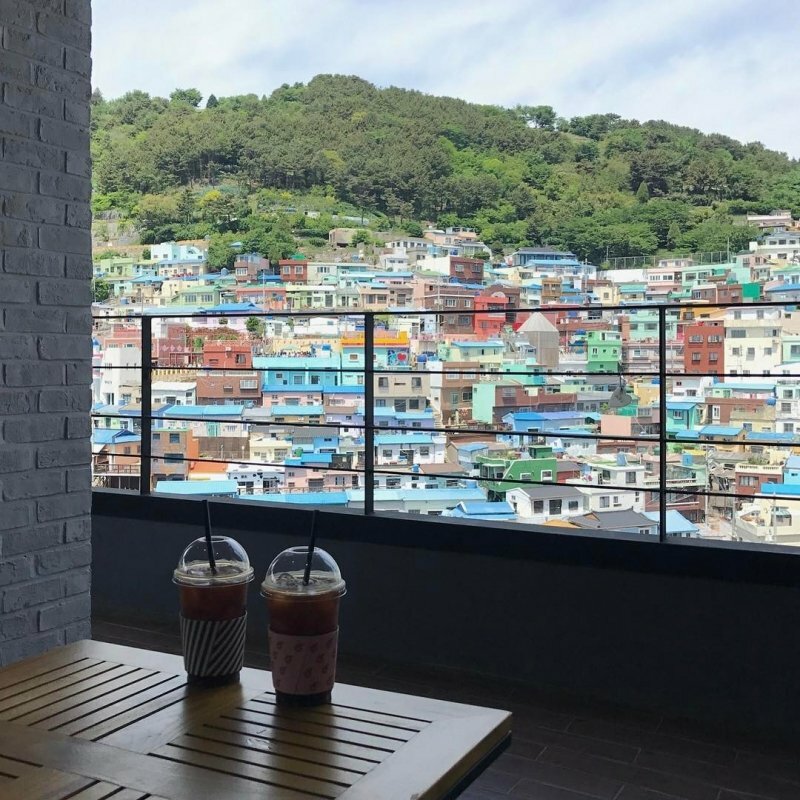 This wonderfully artsy café in Busan serves as a spectators’ rest stop for appreciating the colourful surroundings of Gamcheon Culture Village. 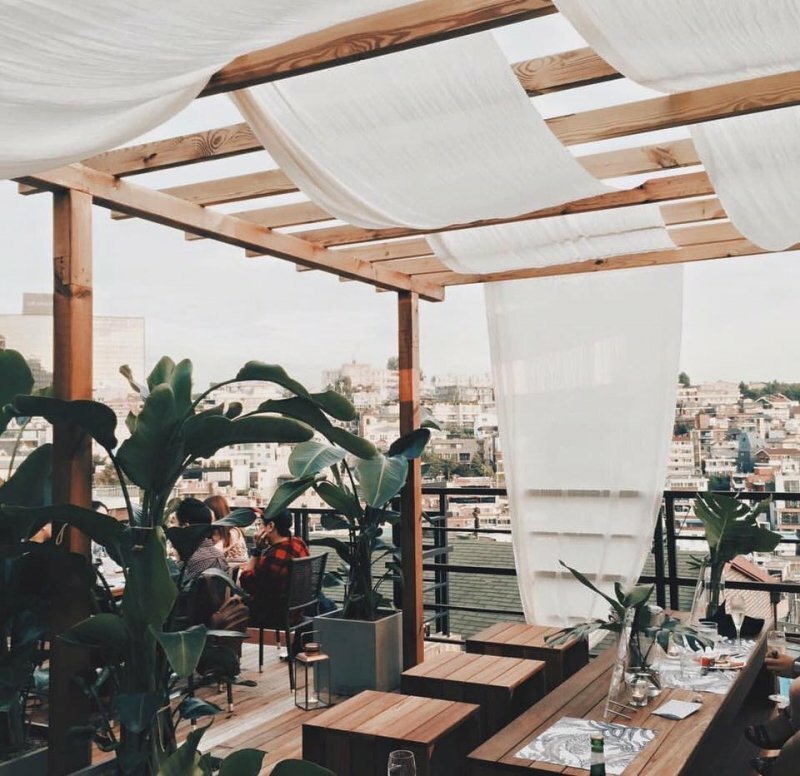 While not exactly outdoors, the café provides an open picturesque view of the city which is definitely Instagram-worthy. 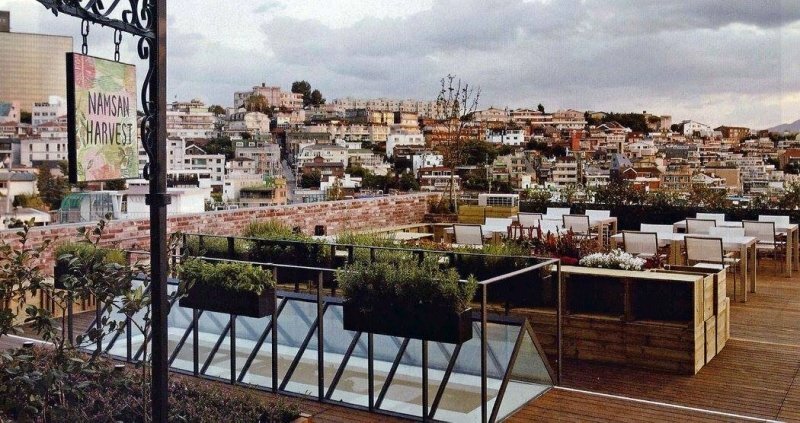 Open until the wee hours of the night, this rooftop café and bar blends hipster with class. 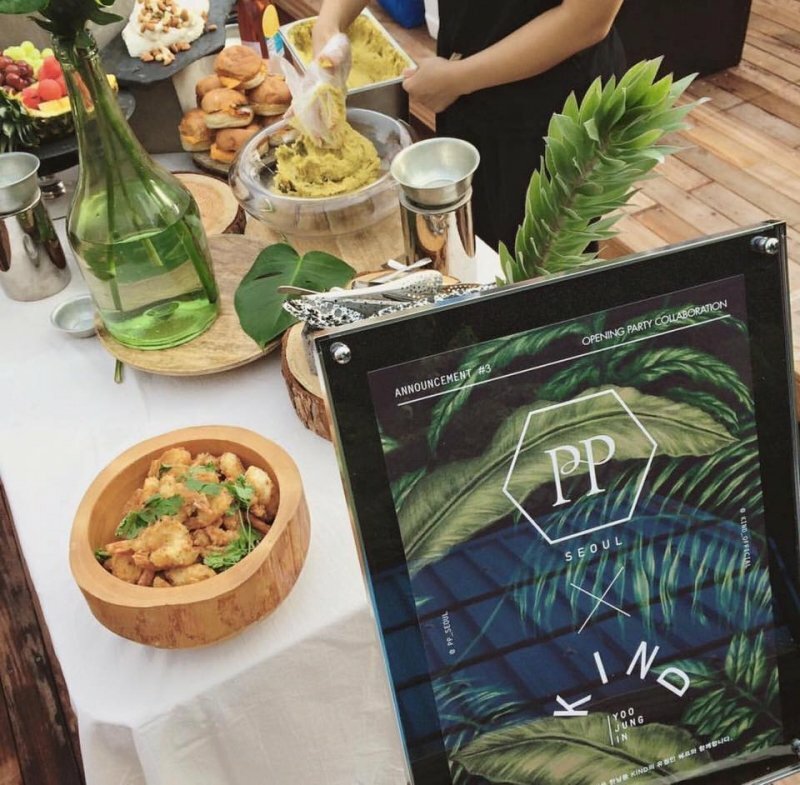 Located in the Yongsan district of Seoul, PP Seoul Café is complete with an outdoor patio with seats long enough to lie down on. The vibe is a perfect mix of romance and chill—exactly what your summer escapades are made of. 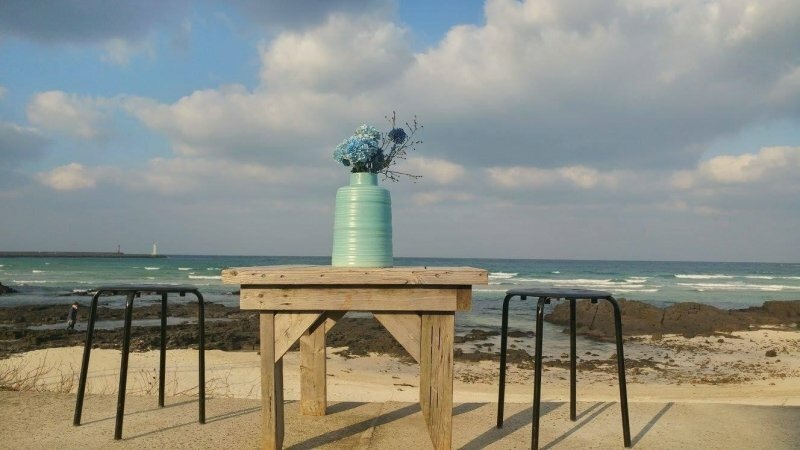 Another trendy café in Jeju island is Café Gongjakso, also known as the “most beloved restaurant in Jeju”. 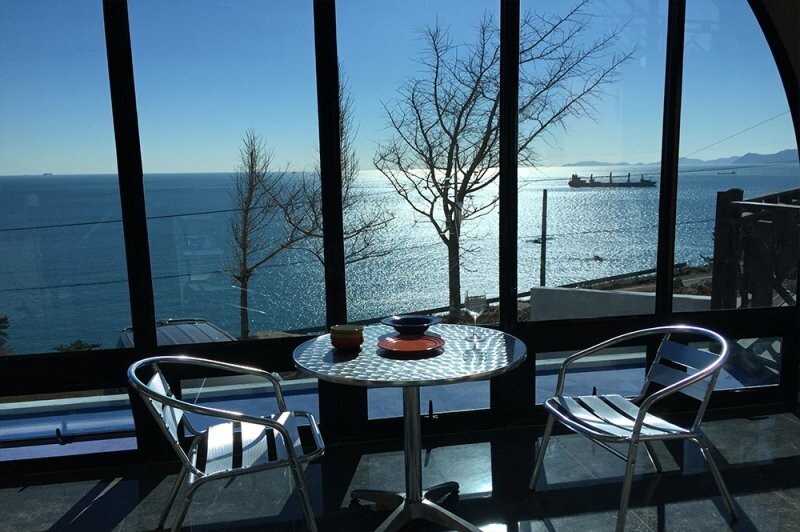 All visitors need to visit this café for a photo-op and a special cup of coffee. Both the interiors and exteriors are just picture-perfect and adorable illustrations adorn the windows. Try to visit this iconic café in summer so that you get the wonderful sunshiny glow in your photos. Are you ready for your summer vacation filled with cafe-hopping and basking in the outdoors?